Press the "START" button and then pull the probe away from the meat thermometer body. To switch to Celsius, press the "°C/°F" button after opening the buckle of the battery. Magnetic attachment enables digital meat thermometer to attach it on refrigerator. 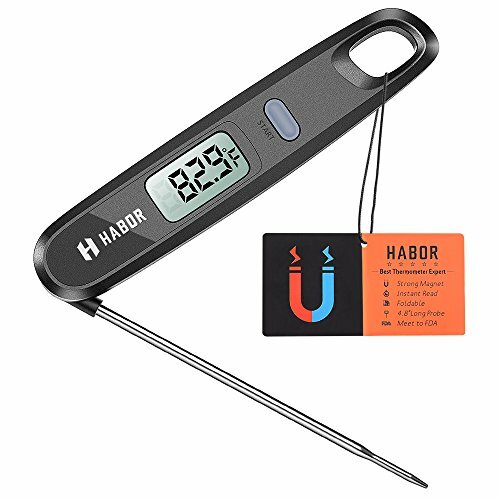 What’s more, there is a hanging hole on the handle for convenient storage, you may hang the meat thermometer together with your cooker.